It’s neither the best selling or a popular theme in this niche, but it’s still my personal favorite as it covers all the functional grounds and looks damn good. 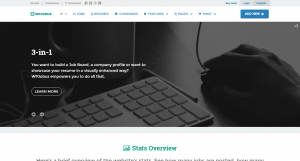 It offers three different layouts, one for job board, other for personal resume and company profile, which all constitutes and completes a job listing. The filters and search tool available is fast and powerful enough to find the perfect match out of hundreds of listings. The theme is also monetization ready, allowing paid inputs and add-ons. Google Maps integration is also available inside. To allow paid listings, the theme supports front-end admin menu, offering control over particular listings. It doesn’t use any third-party plugins or needs any, as all the functionalities and features are developed in the theme itself. 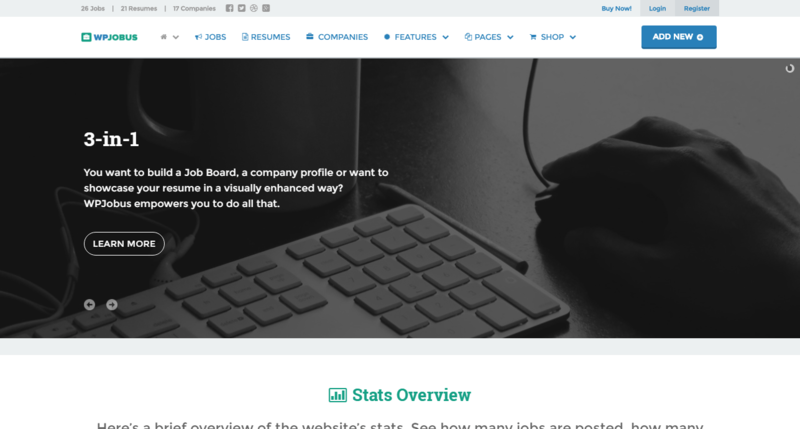 Inside, 100+ custom fields are available, which can be used to fulfill a job or company profile or the resume. The search tool and filters are powered by Ajax to bring auto-completion and quick results.